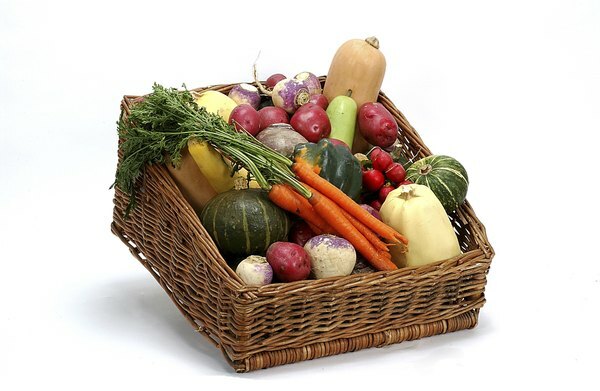 Eating plenty of fruits and vegetables helps you meet your potassium intake. Your body uses the electrolytes sodium and potassium to keep your muscles and nerves functioning at their best. Potassium is plentiful in fruits and vegetables. If you are incorporating these foods into your daily diet, you are likely getting enough of this needed nutrient. However, if you are missing out on these foods, you may not be getting enough potassium per day. Knowing your recommended intake based on your age can help you meet your nutritional requirements. Talk to your physician if you are concerned you are not getting enough potassium in your daily diet. Your daily recommended potassium intake depends upon your age and if you are breastfeeding. Children ages 9 to 13 years old should consume 4.5 grams or 4,500 milligrams of potassium per day, according to the Linus Pauling Institute. 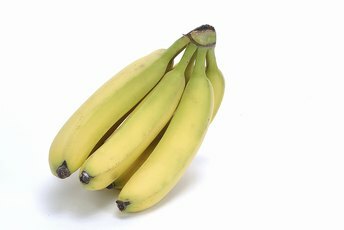 Those ages 14 and older should consume 4.7 grams or 4,700 milligrams of potassium per day. If you are breastfeeding, you should consume slightly more potassium per day, about 5,100 milligrams or 5.1 grams per day. 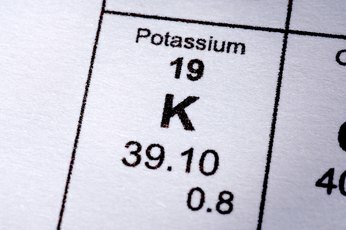 Certain medical conditions and medications taken may affect your body’s ability to maintain the appropriate amount of potassium. For example, taking diuretic medications may cause you to lose potassium because potassium is excreted via your urine. Your physician may instruct you to consume extra potassium or take potassium supplements to ensure you are getting enough. Kidney disease and gastrointestinal disorders that cause vomiting and diarrhea can contribute to low potassium levels as well. Most American women consume about 2,300 milligrams of potassium per day, according to the Linus Pauling Institute, well below the daily recommendations. 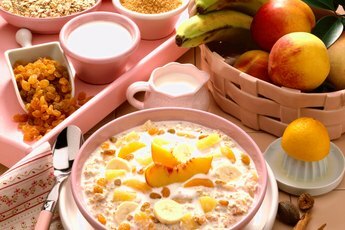 By adding some potassium-rich foods into your daily diet, you can help meet daily recommendations. For example, one medium baked potato eaten with skin contains 926 milligrams of potassium per serving; one medium banana has 422 milligrams of potassium. One-half cup of raisins has 598 milligrams of potassium and a 6-ounce serving of tomato juice contains 417 milligrams of potassium. One-half cup of cooked spinach has 420 milligrams of potassium; the same serving size of cooked lima beans has 485 milligrams of potassium. Potassium is excreted via your sweat. If you exercise more than one hour or are in very hot climate conditions and sweating excessively, you may need to increase your potassium intake. For every one to two hours of exercise you perform, Colorado State University Extension recommends taking in 1 cup of orange juice, a banana or a potato to replace lost potassium. If you experience symptoms such as muscle cramping, lack of energy, nausea or an irregular heartbeat, these may be symptoms your potassium levels are too low. 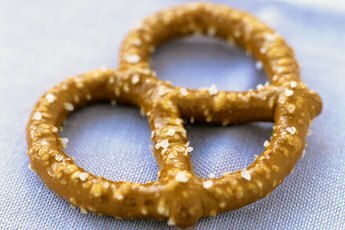 What Gets Rid of Consumed Sodium?